LabVIEW is widely taught in academic classrooms and labs to help students increase their rate of discovery, build solutions faster, and improve their success. 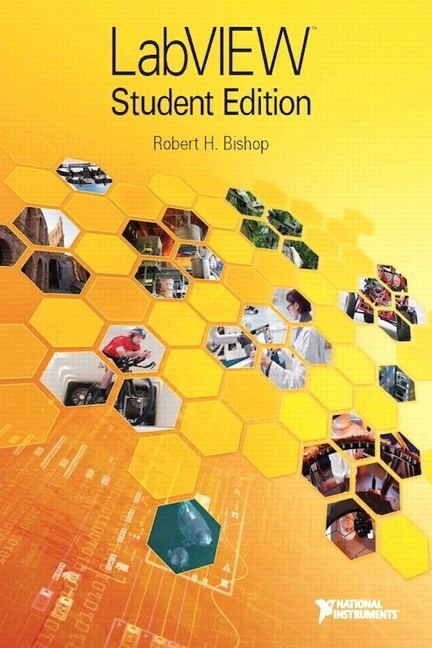 This textbook provides an instructional and experimental approach for students to learn LabVIEW. It was written specifically with students in mind, offering explanations and activities that cover not only features and capabilities of LabVIEW, but also the computational thinking elements behind them. Each textbook includes a serial number for LabVIEW Student Edition, which offers all the capabilities of the full version of LabVIEW. Students are guided through the basics of the LabVIEW interface, including menus, palettes, and help options. After learning the basic structure of the program, students are guided through building an introductory LED circuit. 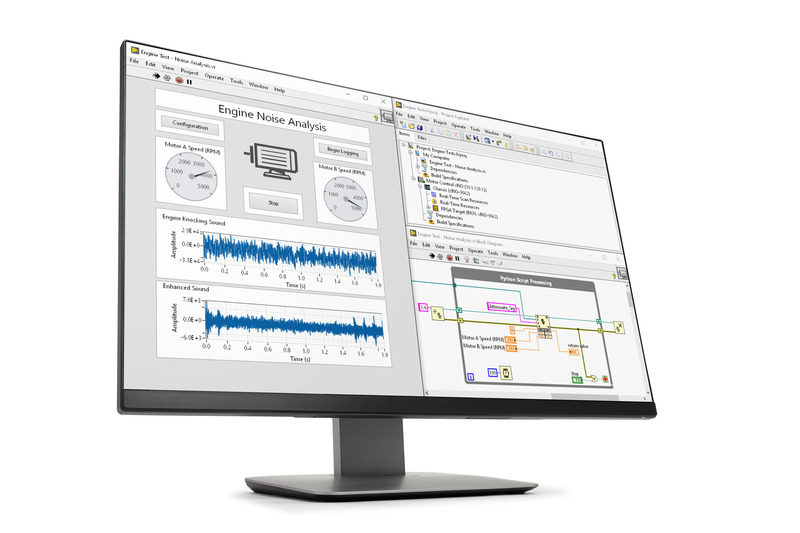 Students learn how build applications with virtual instruments, which are fundamental to the LabVIEW programming platform. They are introduced to the front panel, controls and indicators, block diagrams, and data flow programming. Students use this information to build a basic thermistor circuit. This chapter of the textbook guides students in learning about different ways to edit, customize, and fix errors with virtual instruments. Students learn the benefits and fundamentals of creating and customizing a subVI within a broader virtual instrument. In this section, students learn the basic structures that are available to program with in LabVIEW, including the for loop, while loop, case structures, formula nodes, and flat sequence structures. Students are also introduced to common programming techniques that involve the structures discussed in this chapter. In this section, students learn about two common LabVIEW data types: arrays and clusters. Students are introduced to the different LabVIEW functions available to them dealing with each type as well as how to create them. Students learn how to display and customize the data that they acquire with hardware using charts and graphs. In this chapter, students learn the fundamentals of data acquisition including the different types of signals that can be acquired, signal conditioning, signal grounding, analog-to-digital converters, configuring DAQ devices to read into LabVIEW, the DAQ Assistant, as well as analog and digital I/O. In this section, students learn how to use strings and how to write data to files. Students learn about using the NI LabVIEW MathScript RT Module to add textual math to the LabVIEW development environment. The guide includes syntax, defining functions and create scripts, saving and loading data files, MathScript nodes, and useful applications of the module. This section details the different mathematical analysis available to students within LabVIEW including statistics and curve fitting, differential equations, integration and differentiation, finding the zero of a function, signal generation, and signal processing. 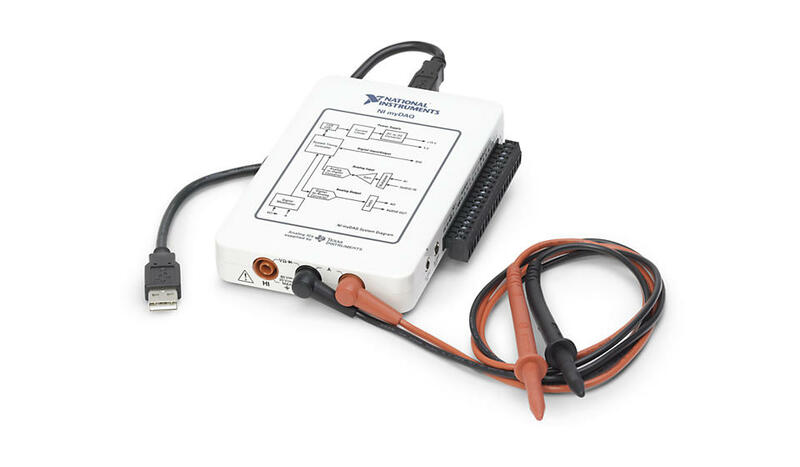 This appendix outlines in detail how to control external hardware instruments from within LabVIEW using serial communication and instrument drivers. This appendix provides an overview of the LabVIEW Developer Certification process as well as a sample CLAD Examination with detailed solutions.